The Blackcurrant Foundation, which represents the interests of more than 40 British blackcurrant growers, has announced details of its digital consumer campaign for 2017. With the majority of British blackcurrants (around 95%) ending up in fruit cordial Ribena, the will focus on the story of how the berry gets in the bottle. Named “The Big Squeeze” it will run from May until the British harvest ends in August, and hopes to increase consumer awareness via social media and Facebook. The aspiration is for consumers to better understand the berry’s journey from bush to bottle, starting in May with a focus on farming heritage, followed by how the land is managed in June, and finally in July the 2017 harvest itself. The campaign will be driven through Facebook with monthly farm ‘vlogs’ updating followers on how the berries are growing. There will also be a number of consumer giveaways. 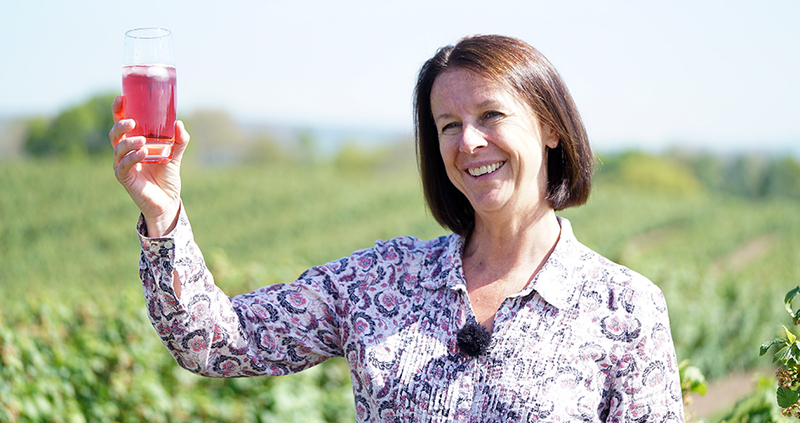 Photo Caption: Chair of The Blackcurrant Foundation- Jo Hilditch- Raising a glass to the new campaign in her blackcurrant fields in Herefordshire.